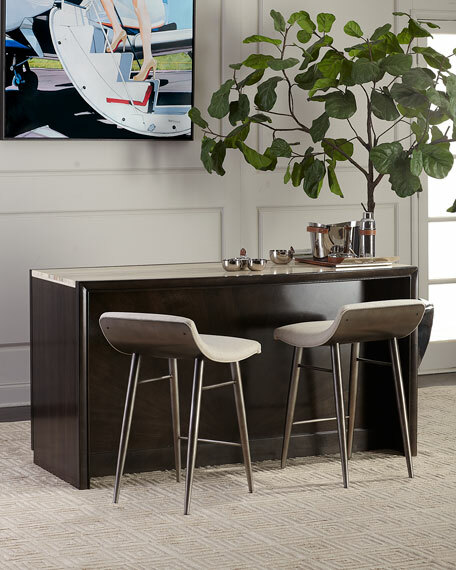 This counter height island provides plenty of serving and prep space on its natural stone top which conveniently overhangs on one side to accommodate stool seating. 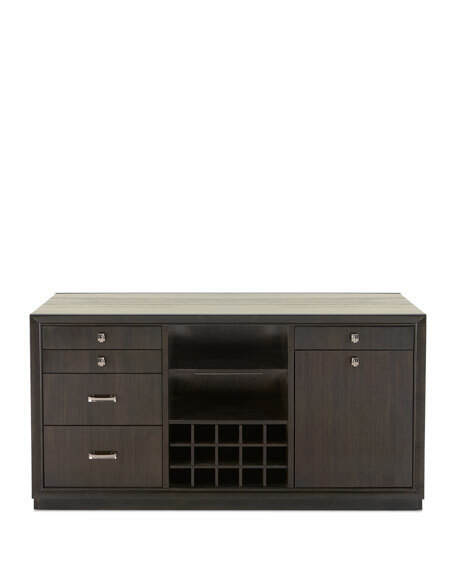 Ample storage includes five drawers, two fixed shelves and wine bottle storage with an adjustable shelf. Handcrafted island bar with stone top. Five drawers; two fixed shelves; one wine bottle storage; one adjustable shelf. 67.5"W x 28"D x 36"T.
Boxed weight, approximately 397 lbs. 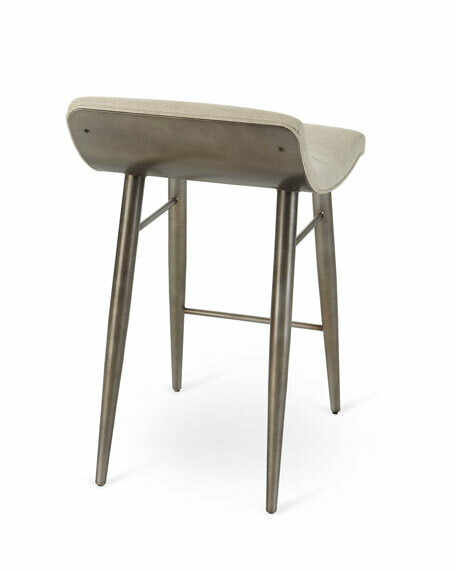 The swooping seat of this stool is supported on metal-toned tapered legs inspired by the Italian modern classics of the 60s and 70s. 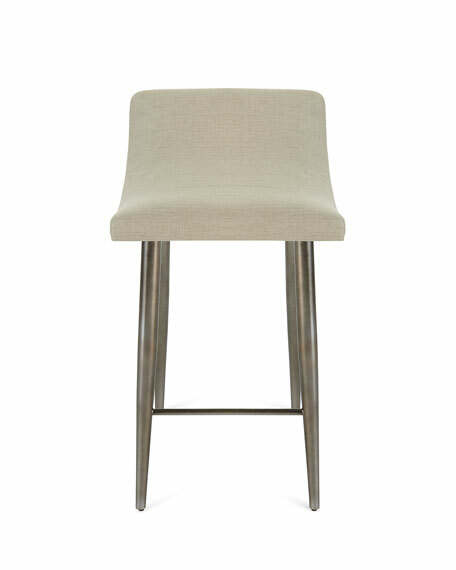 The stool is scaled to fit neatly under standard height bars. 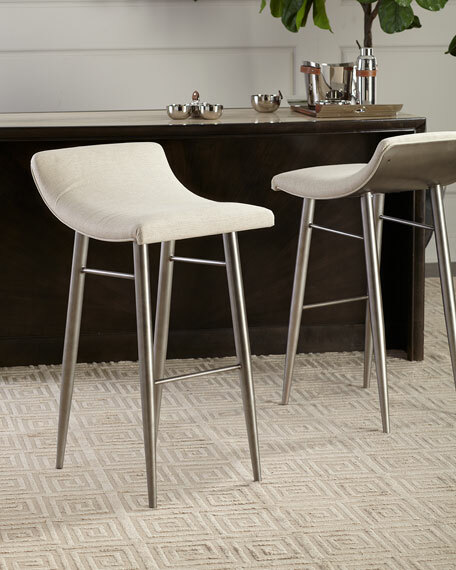 Mid-century silhouette tempered with European simplicity, this counter stool is softly curved for lumbar support, yet minimalistic in its aesthetic. 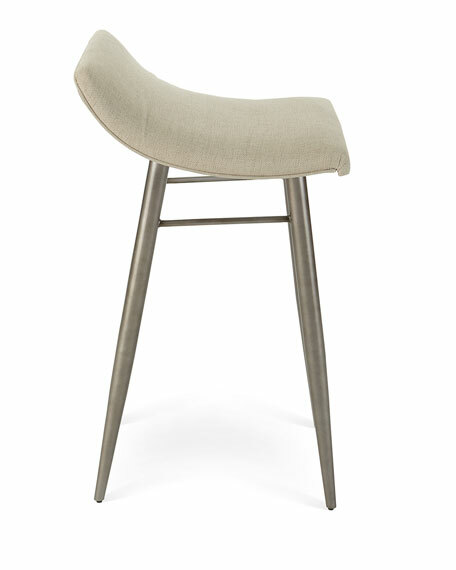 The low back makes it easy to slip under the bar when not in use. Metal frame with reflective and distressed texture. 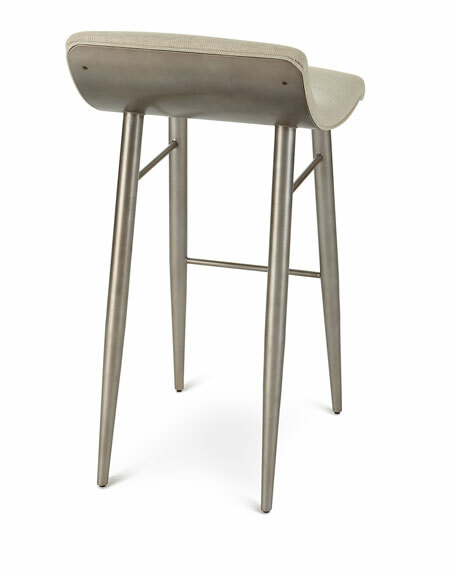 18"W x 22.3"D x 31.3"T.
The swooping seat of this stool is supported on metal-toned tapered legs inspired by the Italian modern classics of the 60s and 70s. 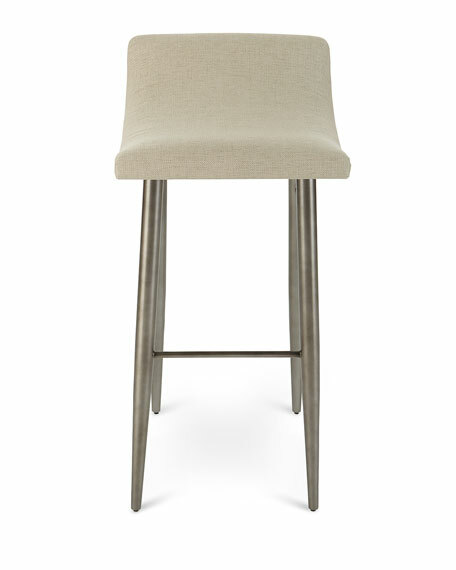 The stool is scaled to fit neatly under standard height bars. 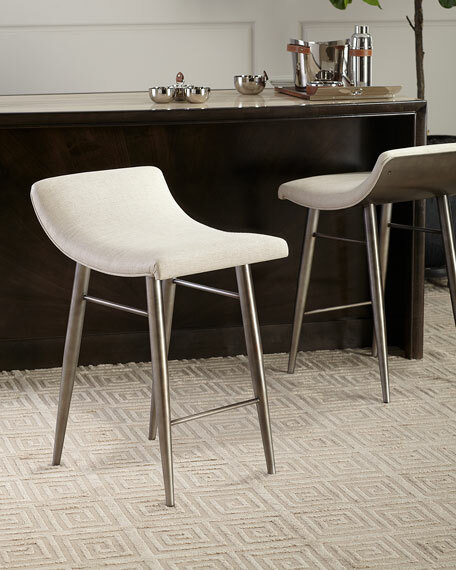 Mid-century silhouette tempered with European simplicity, this bar stool is softly curved for lumbar support, yet minimalistic in its aesthetic. 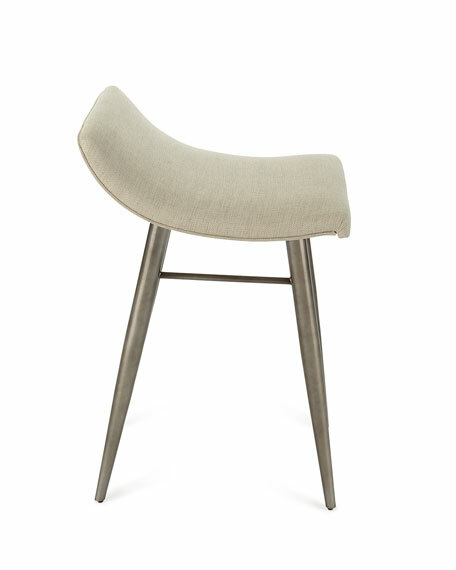 The low back makes it easy to slip under the bar when not in use. 18"W x 22.3"D x 36"T.